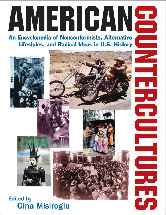 American Countercultures is a useful supplement throughout the American History curriculum. It highlights the writings, recordings, and visual works produced by these movements to educate, inspire, and incite action in all eras of the nation's history. “I Have a Dream” (1963), Martin Luther King, Jr.